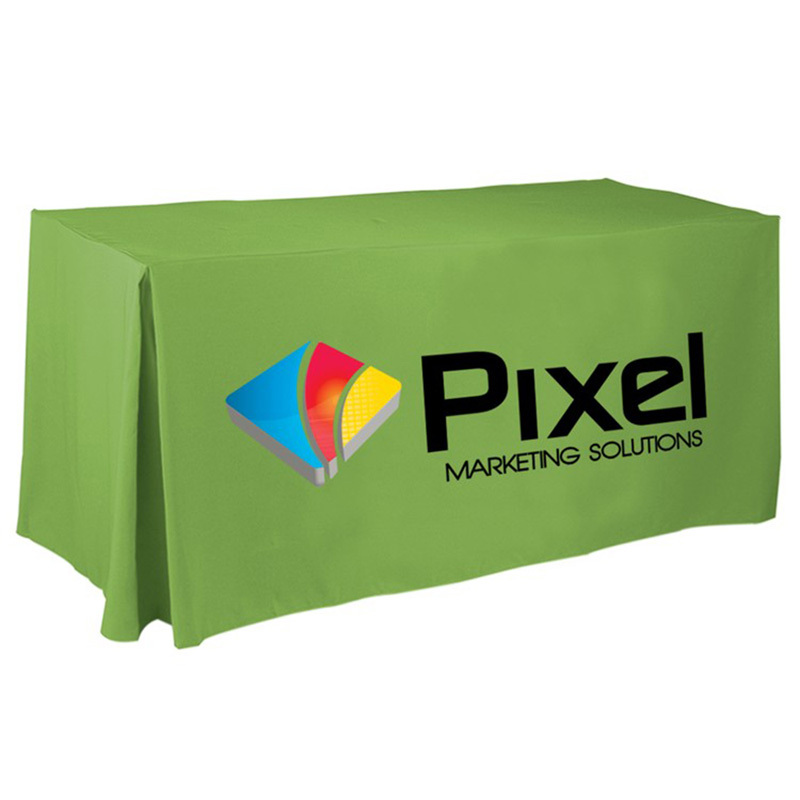 Whether you’re setting up a stall for a big event, or planning the annual Christmas picnic, a custom tablecloth is the perfect way to set your business apart. 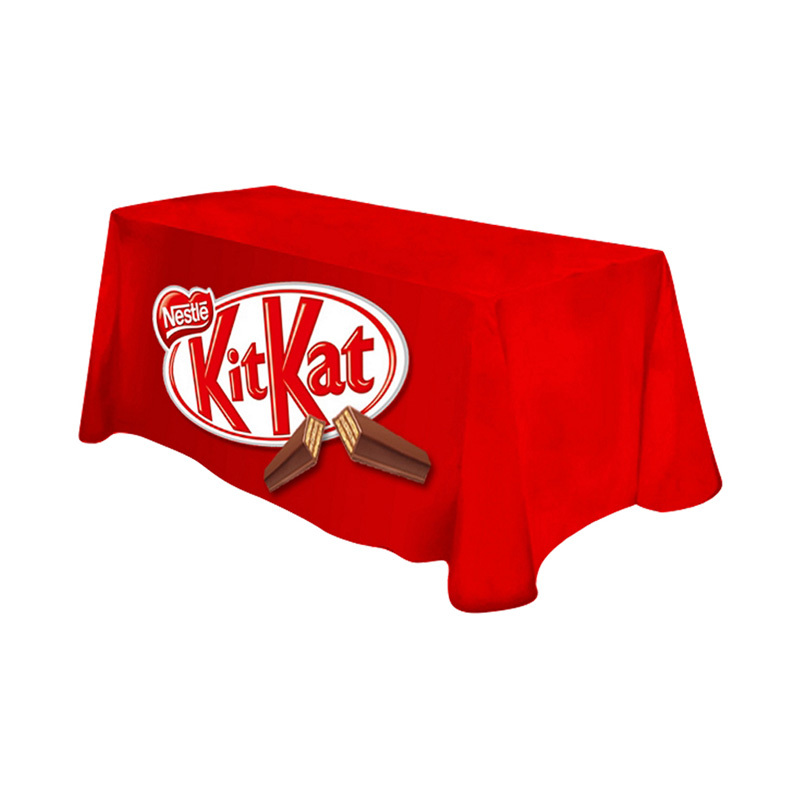 Novel Tees can help you personalise your very own promotional tablecloth so you can stand out from the crowd. 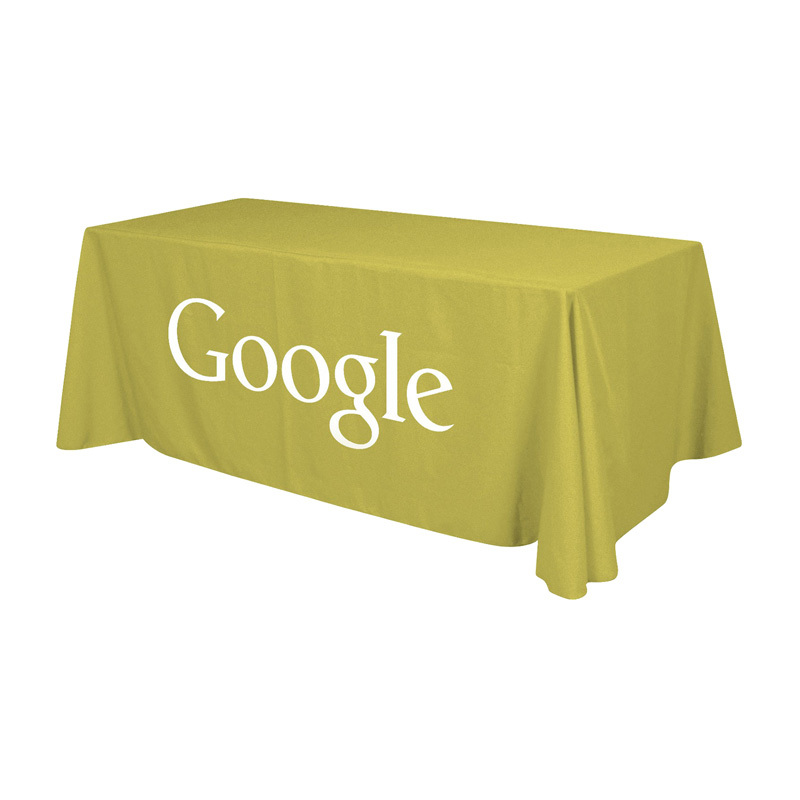 Why should I use a branded tablecloth at my next event? You can choose where you put your logo. Do you want it at the front of the cloth? Perhaps on the sides as well? 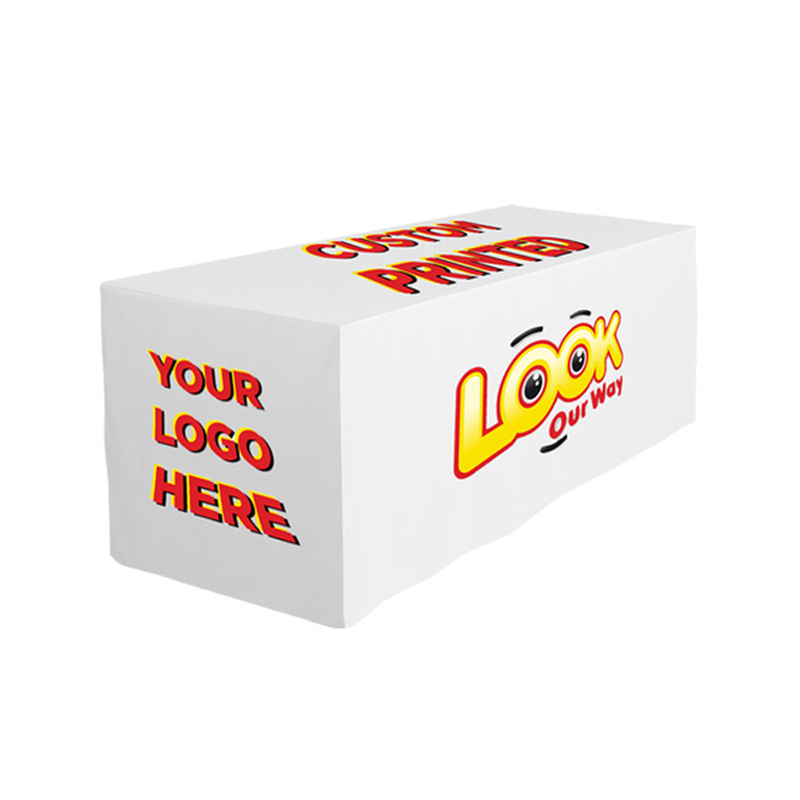 You can even display your logo on top of the table, so no matter where people are standing, they’ll know exactly who you are. Choose colours to match your brand, and you’ll be noticed immediately. 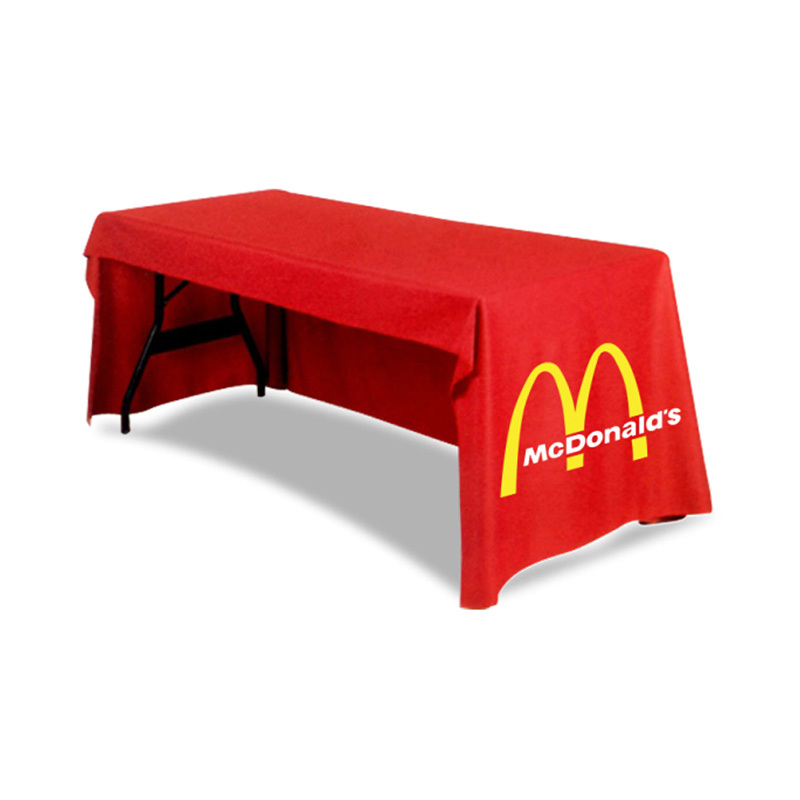 Whether you’re using a small, medium, or large trestle table, Novel Tees has the perfect solution. 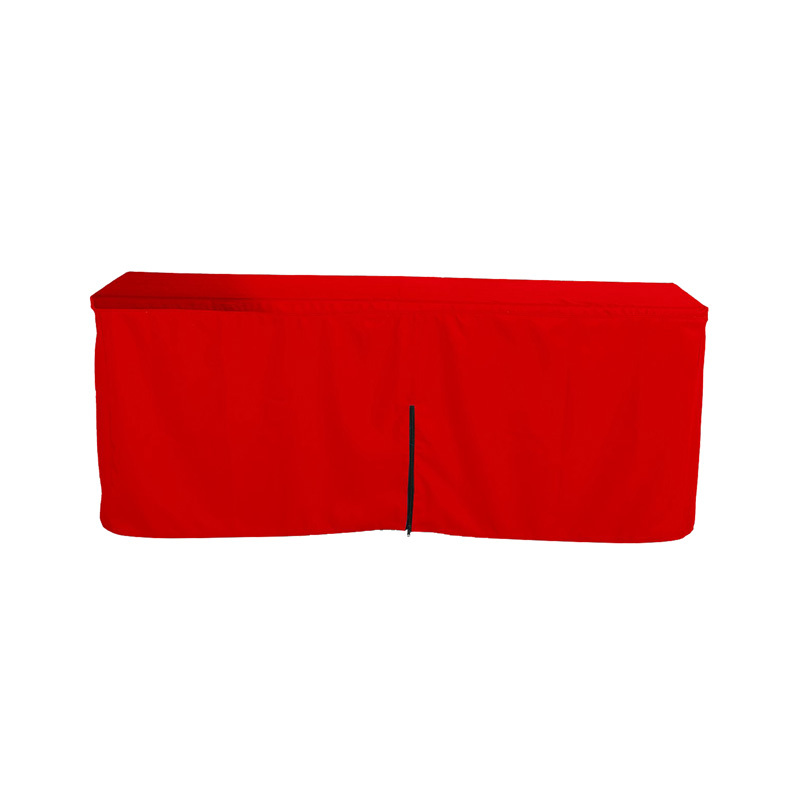 We also have three sided options available, so you can easily access any stock you choose to store under your table.